We've got a small cherry tree in our garden. In addition to making a spectacular show when it blooms, it produces the sweetest cherries and, although the crop can be a bit hit and miss depending on the spring weather, it is a bug magnet for a few months. The tree only started flowering a week ago but today was buzzing with bees. 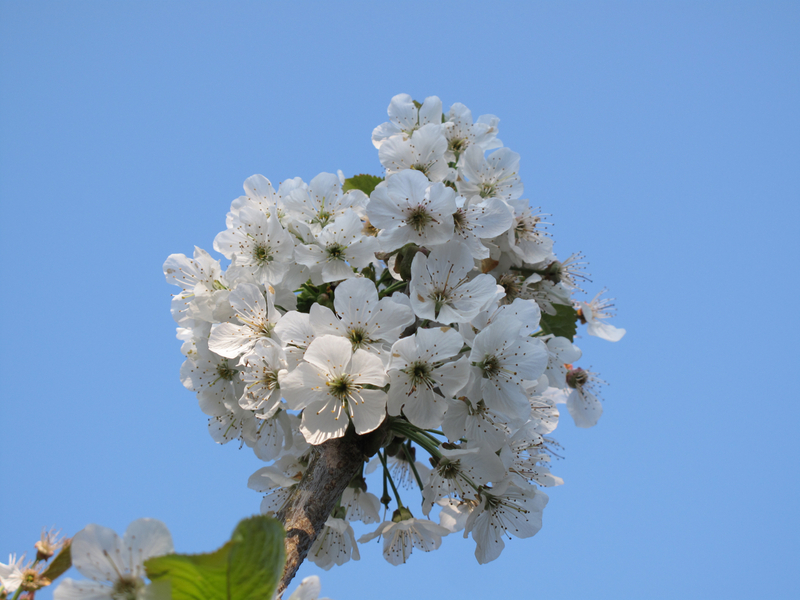 I spent some time this morning watching the blossom and trying to ID the bees that are feeding on it or visiting. Anthophora plumipes and Osmia rufa males have incorporated the tree into their patrolling routine, circling around the blooms, chasing other bees and keeping track of the females. Beautiful, velvety shiny red female Andrena fulva were also feeding on it as were female A. plumipes. I stopped counting the honeybees as there were quite a few. To the high pitched buzz of the Anthophora bees, the deep buzz of queen Bombus lapidarius and Bombus terrestris was added. 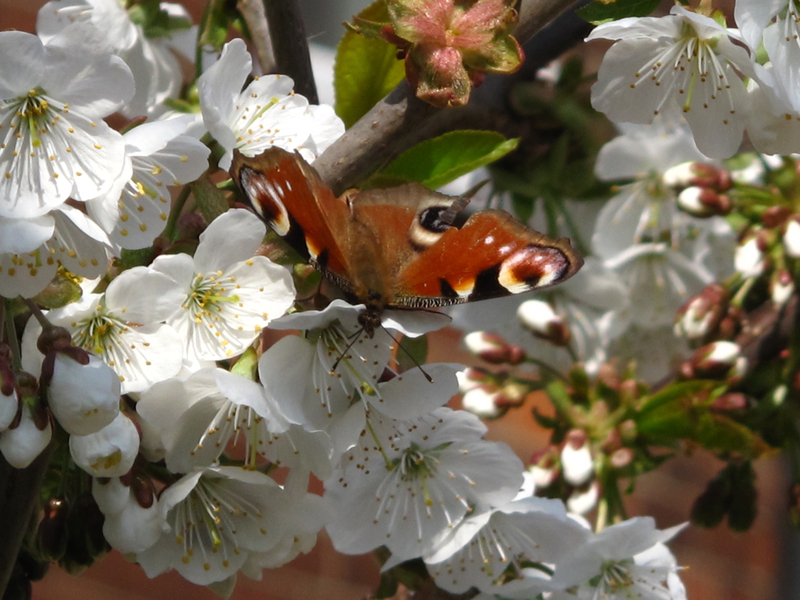 These busy lot of creatures were involved, without realising it, in fertilising the blossom and contribute to making the cherries that hopefully we'll eat this summer. 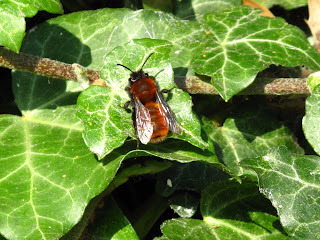 A full Andrena fulva sunbathing near the tree. 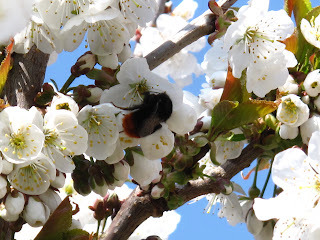 Outside the blooming season, which lasts a few weeks from April to May, the tree growing buds are covered on black aphids that in june produce a sweet sap, loved by bumblebees, especially Bombus terrestris and Bombus hypnorum. I have also seen Bombus pratorum feeding on the nectaries at the end of the leave stalks. Aphids also attract scores of ladybirds. The cherries themselves are prized by wasps - and birds.